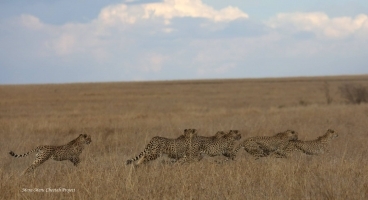 Cheetah females can mate with different males. 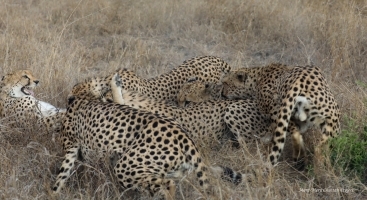 However, in the group of males, all individuals attempt to mount the female, which in fact, reduces chances of successful copulation. Sometimes, females manage to escape from a group of males, alone or with one partner and mate privately. 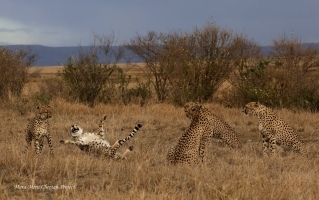 Mating couple spends from one to three days, and copulation occurs usually at night. 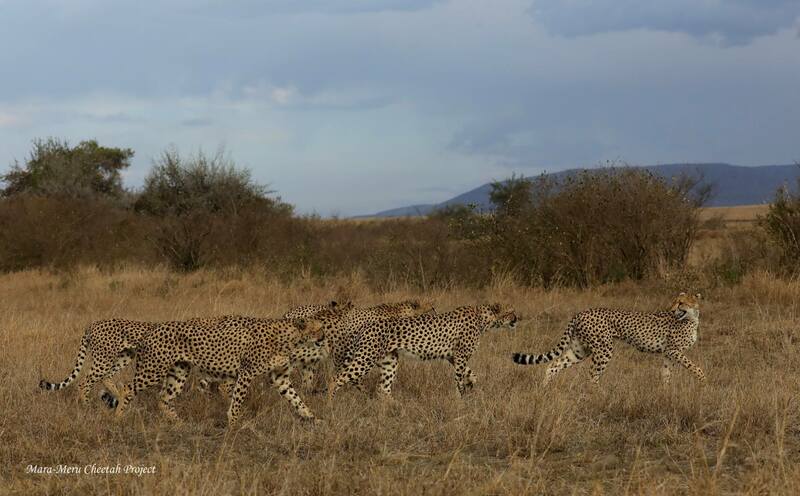 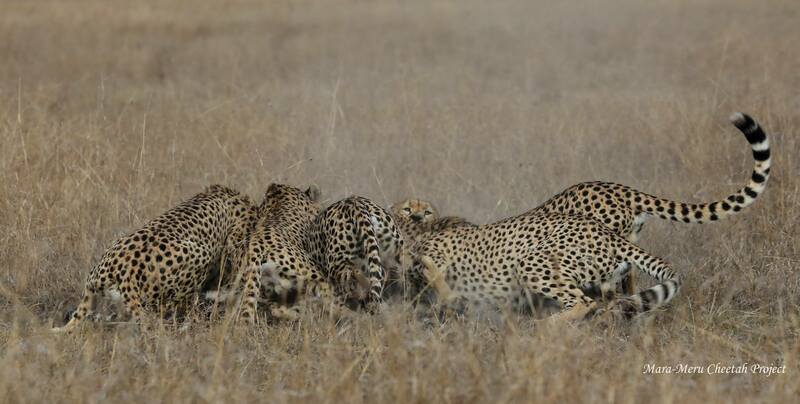 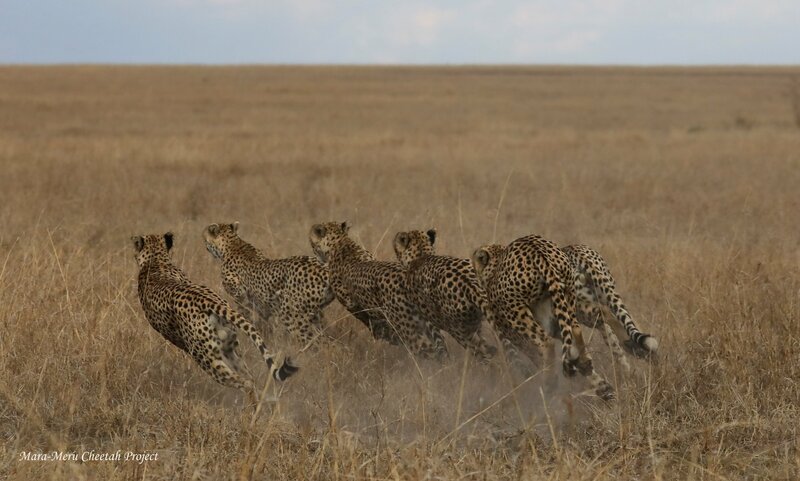 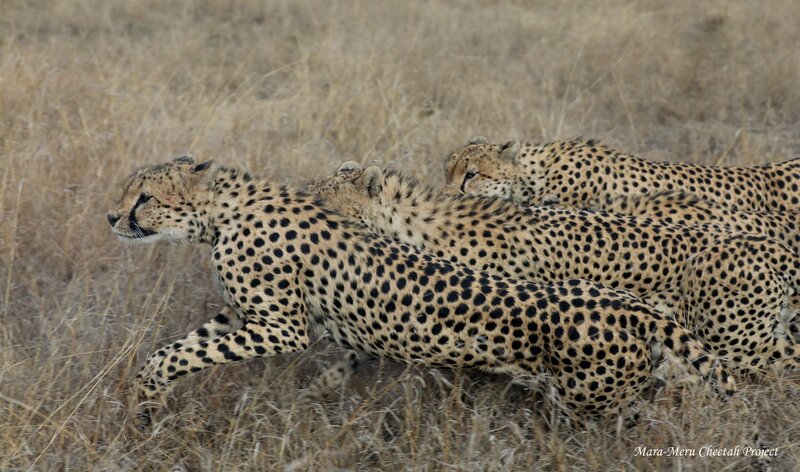 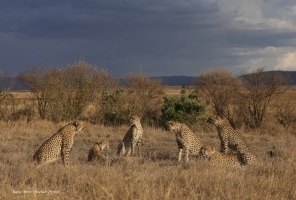 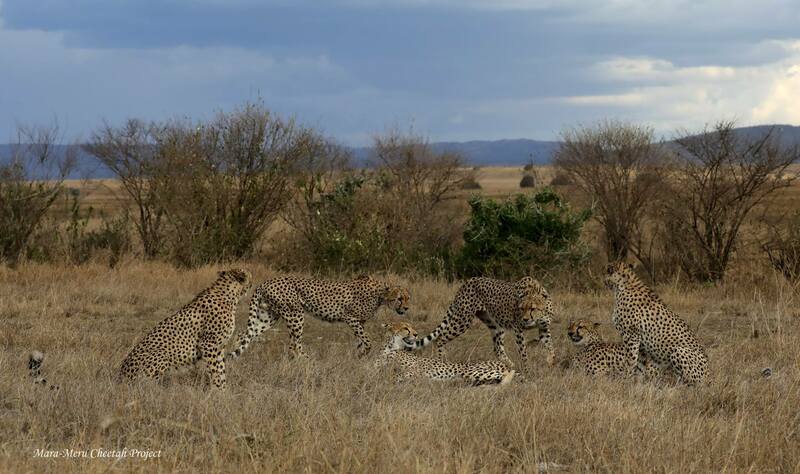 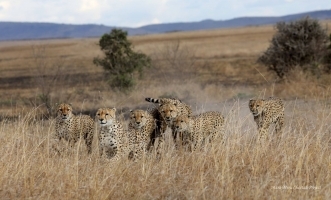 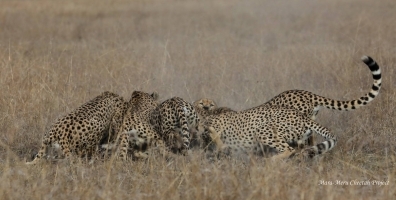 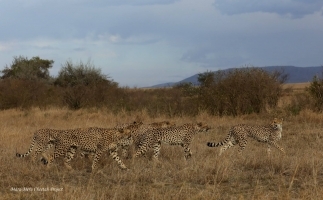 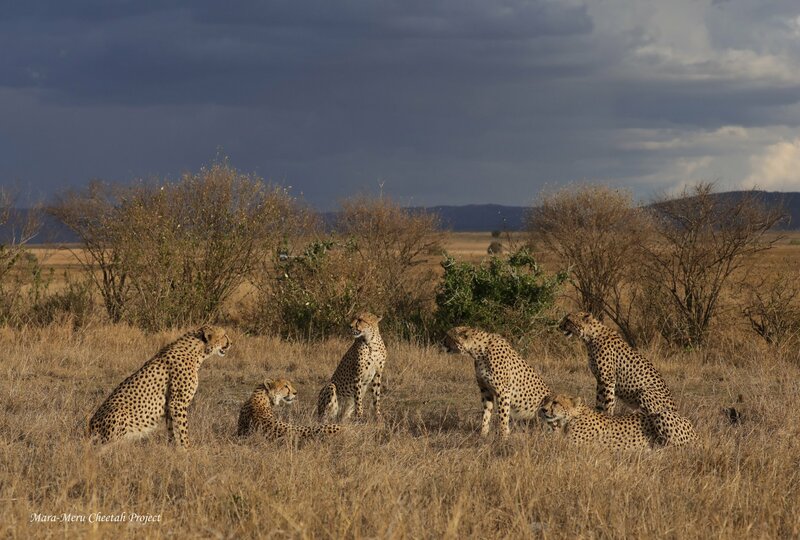 For the last few days, males of the biggest cheetah coalition – the Fast Five – split several times. 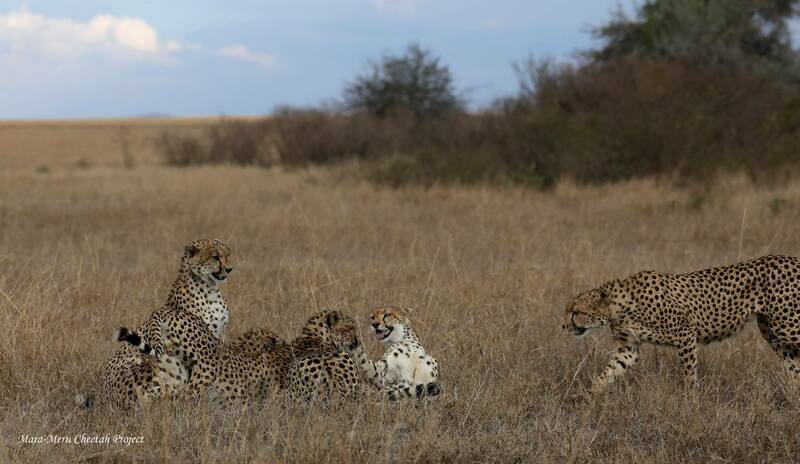 There were two females in the area: pregnant Nora and Nashiai – Rani’s daughter, ready to come in eastrus. Cheetahs are induced ovulators, and most probably, meeting males induced estrus. 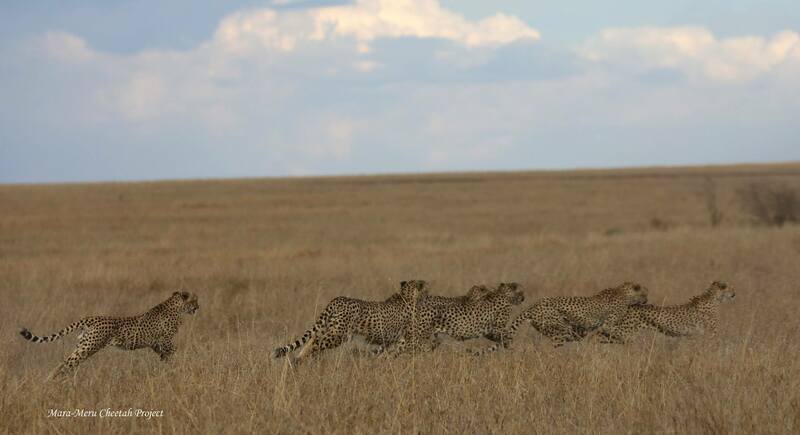 Yesterday evening, all five together were searching for the female and today morning, have been spotted with Nashipai. 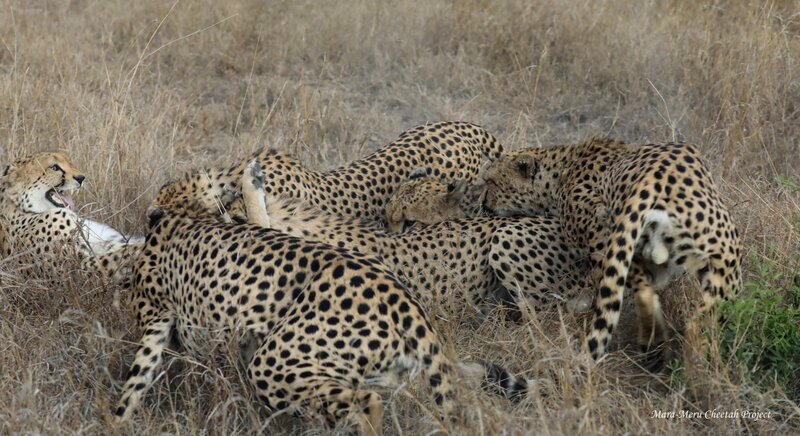 During the daytime, they all were trying to mount her several times, but none of them succeeded. 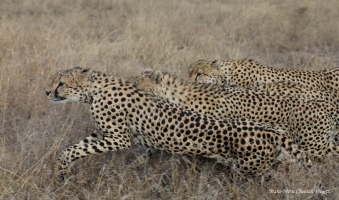 Previously, the split-up method gave opportunity to four out of five to mate with different females.